A chart that speaks by itself. Couldn't be described any better by using words. Of course, population grew between 1970 and 2010, but not by 400%. 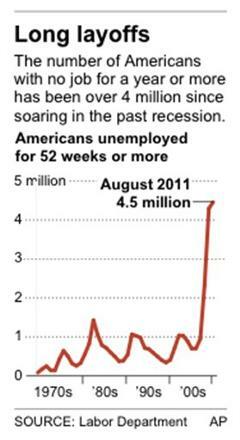 Did the definition of unemployed changed between 2007 and 2009?